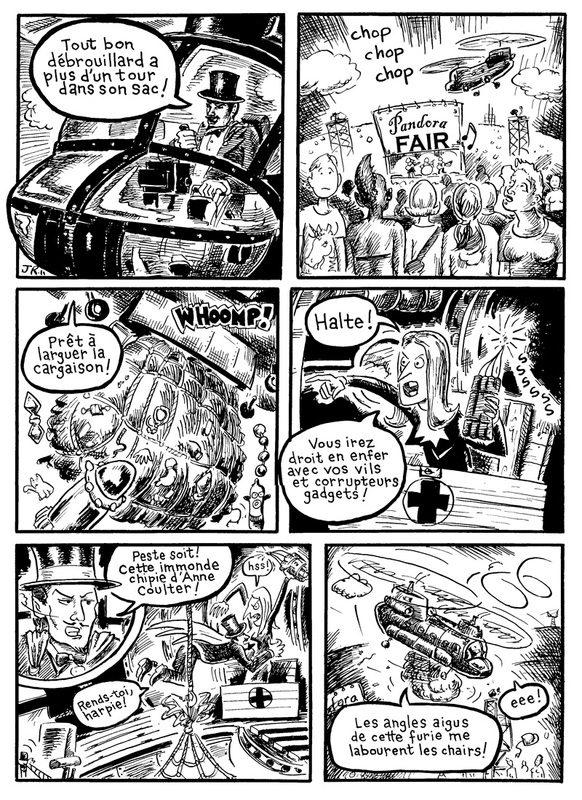 This weekend is the 10th edition of Expozine, the Montreal zine and independent comics fair. It’s a big weekend for me, as it seems that most of the people I know in my scene are there. I’ve done little roving reporter visits with my camera, interviewing people in the past. With all of these comics and sketches I’ve done, I really should have put together some kind of book and tried to sell it, or offer to draw people for $10 a pop, that sort of thing. But I didn’t reserve a table. Still some kind of work by Yours Truly will be on offer. 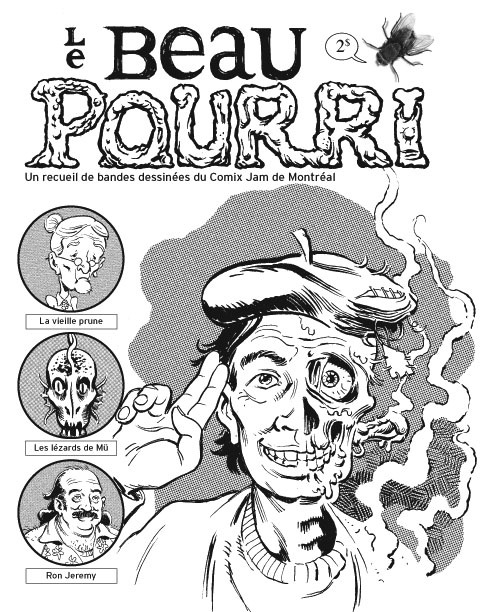 Above is the cover for Le Beau Pourri, a fanzine set up by my pals with the Montreal Comic Jam, said zine which will be on offer at the fair. The cover is designed and executed by Rick Gagnon. Below is my contribution to the mag (outside of panels done in various jams over the months, which might pop up here and there). You’ll have to pick up the zine to see the whole story. Rick Gagnon did the French translation and lettered the balloons. I could post the original English here, but what fun would that be? Anyhow, I’ll be at Expozine on Sunday, Nov. 27. Probably put up more stuff then. Say hi if you see me there!